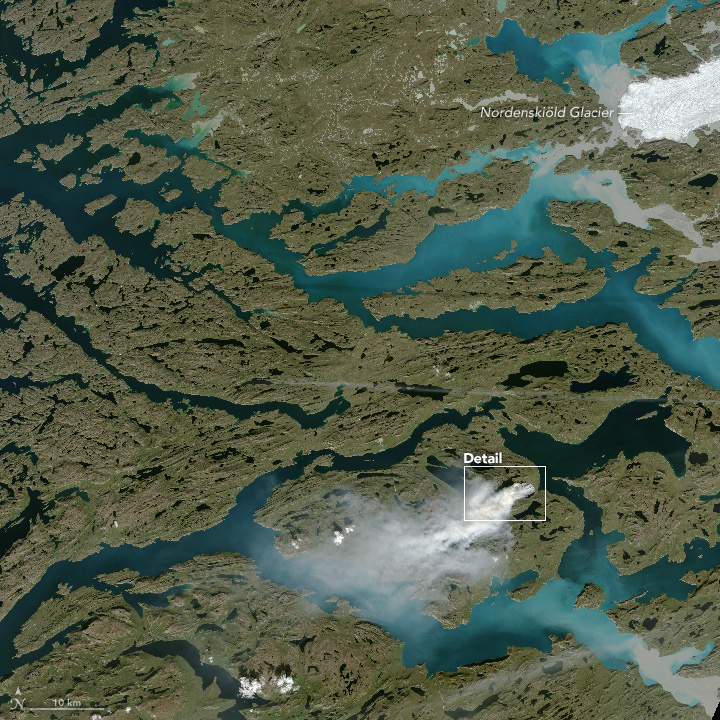 Photo NASA Greenland is best known for its ice, but some remote sensing scientists found themselves closely tracking a sizable wildfire burning along the island’s coast in August 2017. The fire burned in western Greenland, about 150 kilometers (90 miles) northeast of Sisimiut. 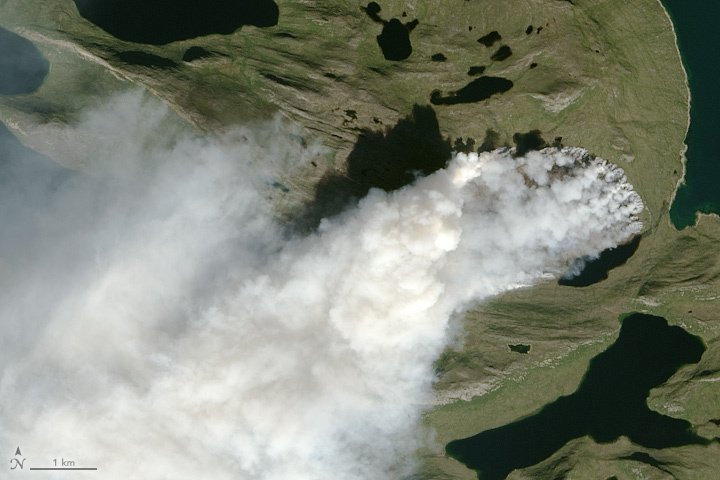 NASA's Aqua satellite captured an unusual photo of a wildfire burning in Greenland, a country covered mostly by ice. The fire was first spotted nearly two weeks ago, and it burned 90 miles northeast of Sisimiut on the island nation's western side. The agency noted that Greenland's summer melt now lasts 70 days longer than it did several decades ago, paving the way for the possibility of more burns. "Every summer, warmer air temperatures cause melt over about half of the surface of the ice sheet - although recently, 2012 saw an extreme event where 97 percent of the ice sheet experienced melt at its top layer," explained University of Washington glaciologist Ian Joughin. Scientists believe the fire is burning through peat, a layer of decomposing plant matter known to release large amounts of carbon dioxide into the atmosphere when ignited.